The Wall Street Journal reports on research by a security intelligence firm that says the University of Hawai'i was targeted by Chinese hackers. The University of Hawaiʻi and at least two dozen other universities have been targeted by Chinese hackers as part of an effort to steal military maritime technology research, The Wall Street Journal reported today. The findings from research by the security intelligence company iDefense is scheduled for publication this week and provide details that suggest the expansive cyber campaign of the Chinese, the newspaper said. Chinese officials didn't immediately respond to the newspaper's request for comment but have previously denied their country conducts cyberattacks. The Journal said the majority of the universities targeted carry out research on undersea technology or have faculty knowledgeable about the subject. Besides UH, hackers also targeted such institutions as Penn State University, a leading provider of Departmemt of Defense research, and Duke University. iDefense identified the universities subject to the cyberattacks by watching them get pinged by servers in China controlled by a hacking group known by such names as Temp.Periscope, Leviathan and Mudcarp. It is the same group that security firms and government officials say were linked to major breaches of Navy contractors and subcontractors and theft of sensitive military information in recent years. The researchers could not conclude which universities were breached, but iDefense found that "nonpublic files belonging to the University of Hawaii's Applied Research Laboratory were laced with malware and sent to other targets, suggesting a successful intrusion at Hawaii," the Journal reported. UH officials said in a statement that the university is cooperating with federal agencies and "cannot comment further on the specifics of the Wall Street Journal article," but added the cybersecurity threat to universities has been well-documented. 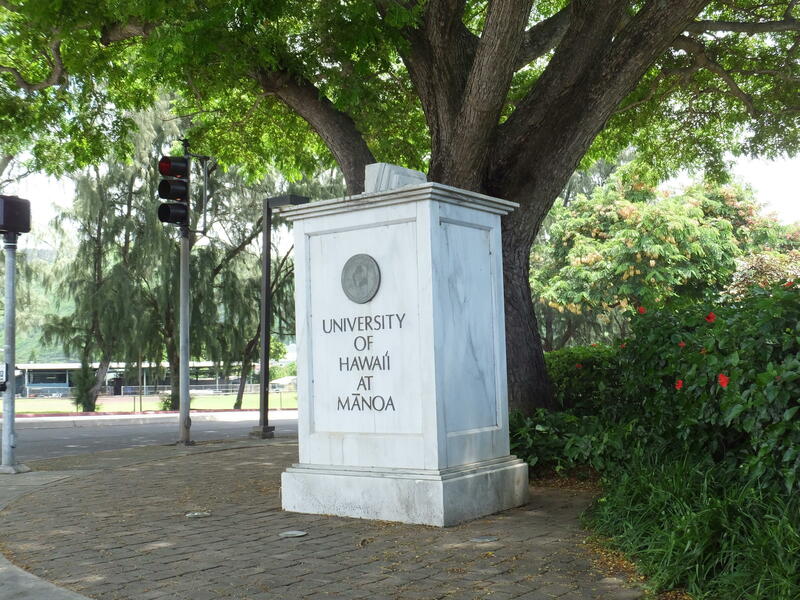 "When anomalies are discovered, including the one mentioned in the Wall Street Journal article, UH cooperates with appropriate enforcement authorities," the university said. The UH Applied Research Laboratory is a Navy-sponsored center focusing on naval and national defense research.